Hotlanta. At least I hope it’s hotter than Boston. Meet with The Atlanta Journal Constitution and talk about Do Good Atlanta and show them some of what's coming next to the platform. Meet with the American Cancer Society about the new stuff. Take part in a panel (Social Networking/Online Tools Session)at Public Media 2009. And then back to Boston tonight. Articles at Boston.com linking to Do Good. This is the power in our model - an article moves you, interests you, makes you want to do something. Now you can. You can Do Good. Total Newspaper Readership Grows. Yeah for us and our nonprofit partners! For all the gloom in the newspaper industry, total readership--including Web site visitors--is increasing, according to Mediamark Research and Intelligence, which found a 2.1% increase in audience size to 80.6 million between spring 2007 and spring 2008. 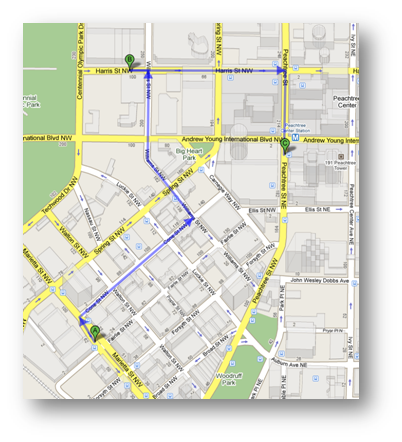 The survey was performed by MRI for the Newspaper National Network in the top 100 media markets. Importantly, this figure includes unduplicated online readers, counting each person who reads both newspapers and online just once. According to the Newspaper Association of America, the total unique audience for newspaper Web sites reached 66.4 million in the first quarter of 2008--12.3% greater than the same period in 2007. Visitors generated 3.1 billion page views in the first quarter, up from 3 billion last year. And here's my comment - NICE! This validates our newspaper-centric approach. Now imagine 1% or 3% or 5% or 15% or more of those page views with the connect2cause widget appearing alongside…that's an astonishing asset to put to work for nonprofits and for our brand sponsors. Hey! Do Good is on TV!!! Go here and watch Bob Kempf of Boston.com talk about the Do Good Channel on Fox 25 in Boston. If you're a nonprofit in Boston, ya gotta be in the Do Good Channel. Heck, if you're a nonprofit anywhere you need to be in the Do Good Channel! Go here to join. Or here to take a webinar and learn more. 08-06-22 Boston dot com Kitties, originally uploaded by Middlesex Fells. We're psyched. 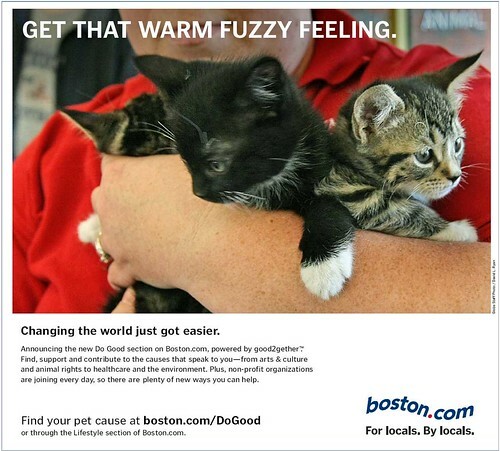 This ad appeared today for the launch of the Boston.com Do Good Channel. Pretty powerful stuff. Go to boston.com/DoGood and check it out. And find something good, no, something great to do! 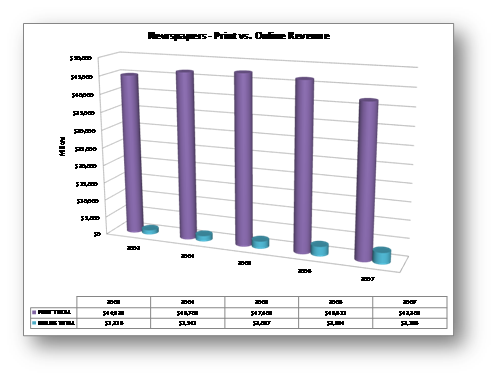 Newspaper print ad revenue is declining (quickly). Online is increasing (not quickly enough). We can help. Our Do Good Channels are sponsored. That generates new revenue for the newspaper. Provides an incredible service for their readers (who'd like to do good). And unlocks the huge numbers of monthly unique visitors to newspaper web sites for the benefit of nonprofits and it makes the service free to the nonprofits. We're incredibly excited to have launched at Boston.com. And there's a bunch of places on Boston.com where you can find the Do Good Channel. Here are some of them. Scroll down on the right rail. See 'DO SOMETHING GOOD' - that links to the Boston.com Do Good Channel. Go to the Lifestyle section. Notice at the top underneath the blue navigation bar (HOME TODAY'S GLOBE NEWS) the secondary navigation (Fashion Food House & Home) on the right you'll find Do Good - Boston.com Do Good Channel. On the right rail mid-way down DO SOME GOOD - Boston.com Do Good Channel. Notice underneath the article: 'HOW TO HELP? Volunteering opportunities in Boston' - that links to the Boston.com Do Good Channel. Notice underneath the first line in the article: 'HOW TO HELP? Volunteering opportunities in Boston' - that links to the Boston.com Do Good Channel. Incidentally, how powerful is that? Read an article. Do something about what's covered in the article. Much more of that coming. A note - the photo galleries are largely filled with photos of nonprofit events and get tens of millions of monthly page views. Notice on the left rail towards the top - they've integrated the 'DO SOMETHING GOOD' widget. Users can select a cause category and/or a way to participate and/or a search term to find the right cause engagement for them. Boston.com gets over 4M monthly unique visitors. Over 150M monthly page views. If you're a nonprofit in Boston or, for that matter, in New England you can't afford not to be in good2gether. Sign up here today! Newspapers' 2007: Worst Ad Drop In 50 Years. Newspaper print ad revenues dropped 9.4% in 2007 to $42 billion, the worst one-year drop in more than 50 years. That's according to the Newspaper Association of America, which started keeping track in 1950. This is usually the point in one of these items where we insert a silver lining, in the form of rising online revenues. Unfortunately, that's slowing for newspapers, too. Online ad revenue grew 18.8% in 2007 to $3.2 billion. That's down from 31% growth in the each of the prior two years. Total revenue in 2007--including online revenue--dropped 7.9% to $45.3 billion. Not helping: classified ad revenue dropped 16.5% to $14.1 billion. Thanks, Craig! good2gether overview: we deliver new hyper-local content – information on nonprofits – in a hosted Web 2.0 platform that can be monetized through advertising and sponsorships…so the good news is that we bring a brand new revenue stream to our newspaper partners. And that explains why we're getting the traction we're getting. Out of Orlando, over to Phoenix. Leaving Orlando after a very sucessful NAA. This was our first time at this show and boy, did our platform ever resonate with newspapers. Lot's of great stuff will come out of this. Over to Orlando for meetings and then back to Boston on Friday. Online audience has grown 14 percent, making up print audience losses by 28 percent. Readers aged 18-34 who view only the online editions increased 21 percent. Online readers are increasingly wealthy and educated; readership among adults with annual household incomes of $75k increased 33 percent. Readership among adults with a college degree or higher increased by 16 percent. The full report isn't available online but the release has some details. good2gether comment: Given the service we provide to newspapers, this is terrific stuff.